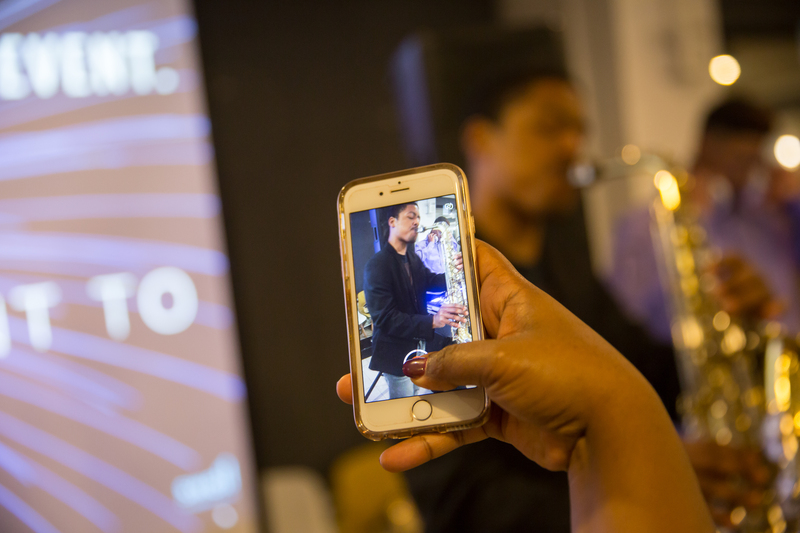 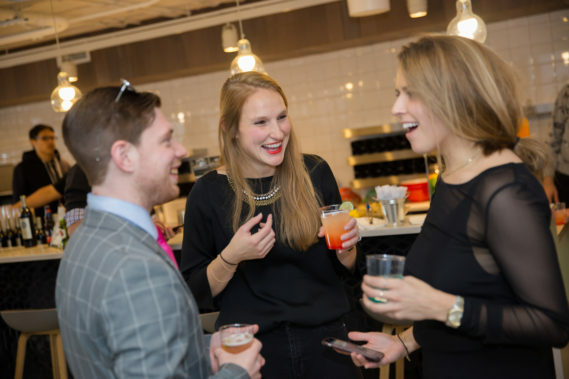 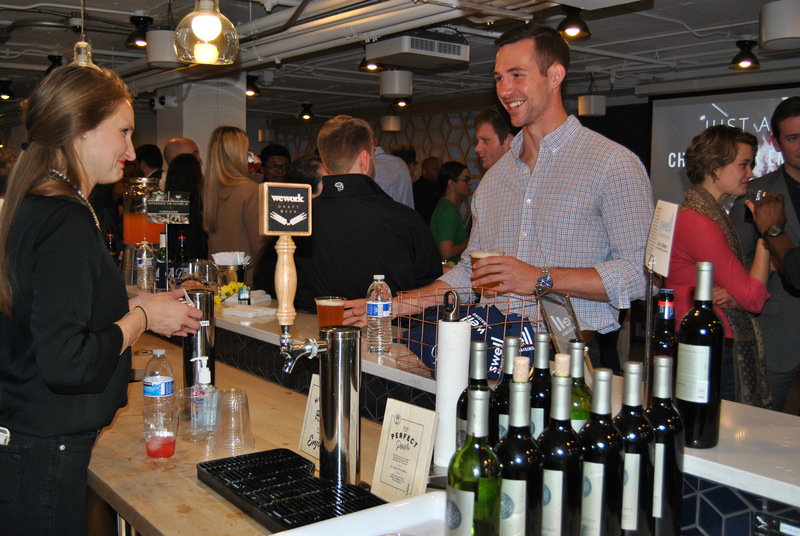 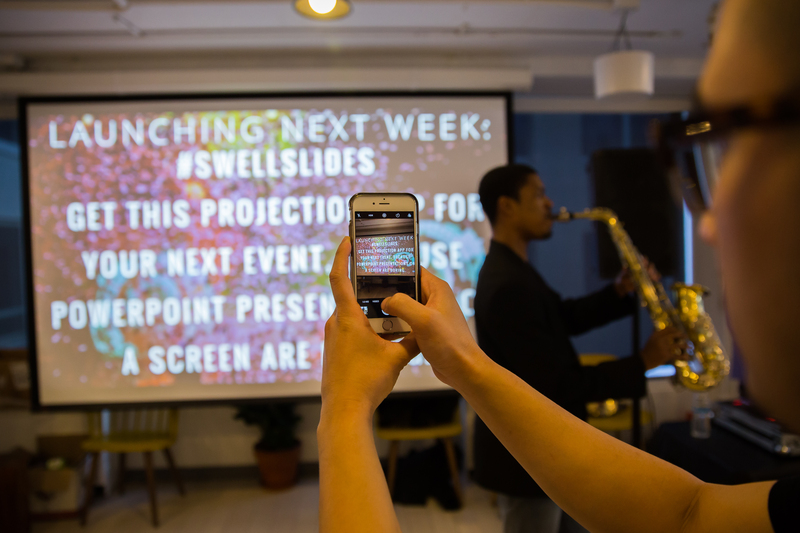 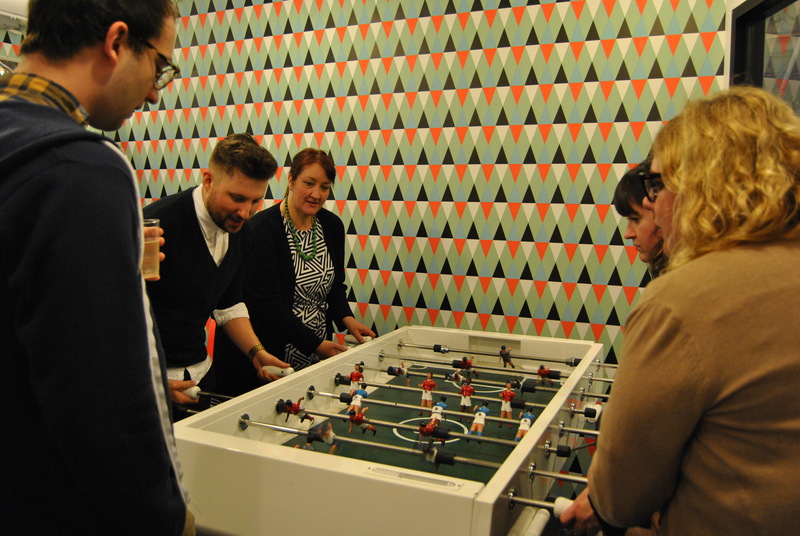 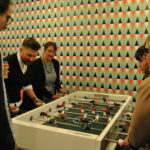 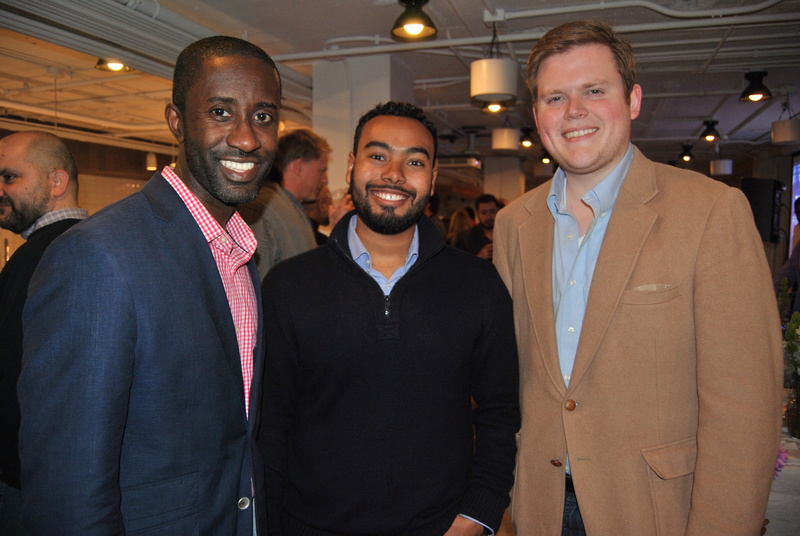 Nonprofit and tech communities merged at WeWork in Dupont Circle for the official launch of Swell Slides, the latest event tech option from Swell Fundraising, a Birmingham-based software company. 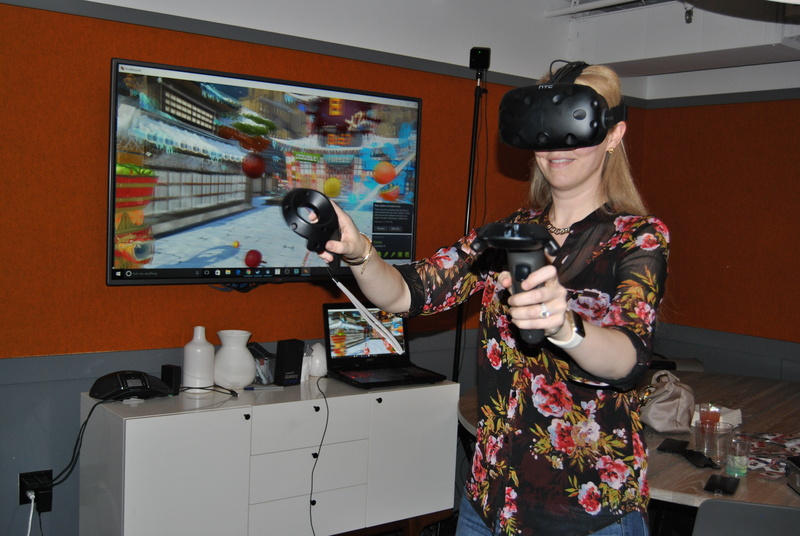 The company co-hosted the evening alongside Grassroots Professionals Network (GPN) as part of the 2017 Nonprofit Technology Conference, which drew about 2,000 people from around the country to the Marriott Wardman Park hotel. 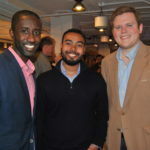 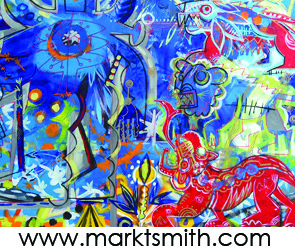 Approximately 300 influencers from major nonprofits and advocacy groups came out for a night of networking, speciality cocktails, and interaction with the new product, which allows event producers to combine their presentation slides, live fundraising efforts, and social media walls into a single solution, Swell Slides. 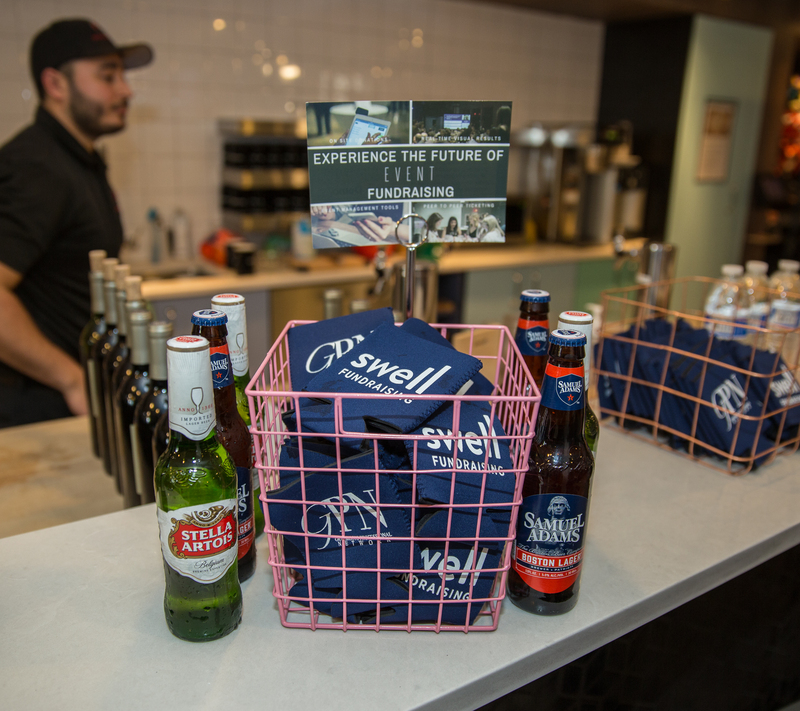 Swell utilized it’s own software to register guests for the event, which later enabled them to get attendees interacting with the slides on-site. Upon check-in, each received a custom card with instructions on logging into their personal Swell Fundraising webpage where they could donate ‘funny money’ to the event. 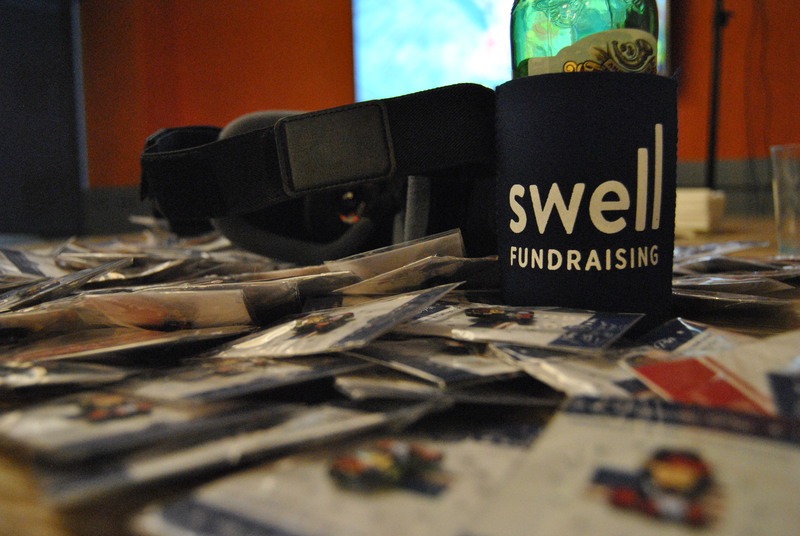 Those totals then showed up on the big screen display of Swell Slides. 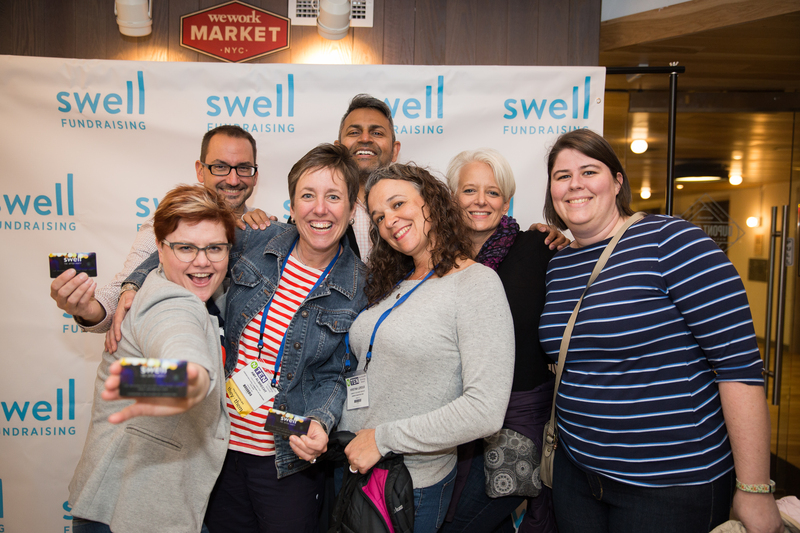 A live social media feed of the Twitter and Facebook posts utilizing the night’s two hashtags, #SwellSlides and #SwellAfterParty, ran along the slides as well. 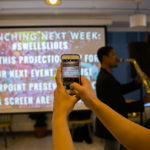 The slides are also integrated within the larger Swell Fundraising platform, which is designed to streamline the event website, ticketing, check in and on-site fundraising for nonprofit events. 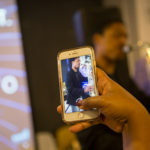 The platform utilizes a peer-to-peer fundraising model that enables nonprofits to expand their event’s reach beyond those in the room via the social network of each attendee. 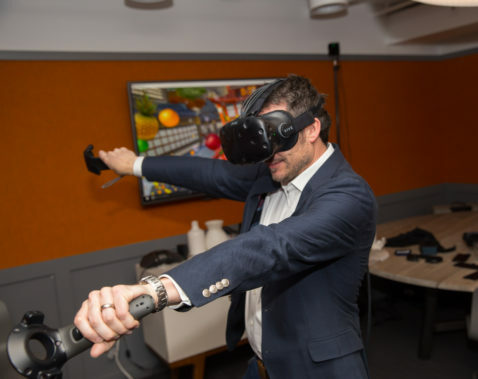 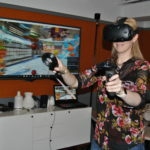 In addition to interacting with the Swell Slides at the event, guests could also play the inherent video and table games at the co-working space as well as Fruit Ninja virtual reality game from NotionTheory. 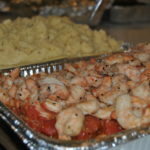 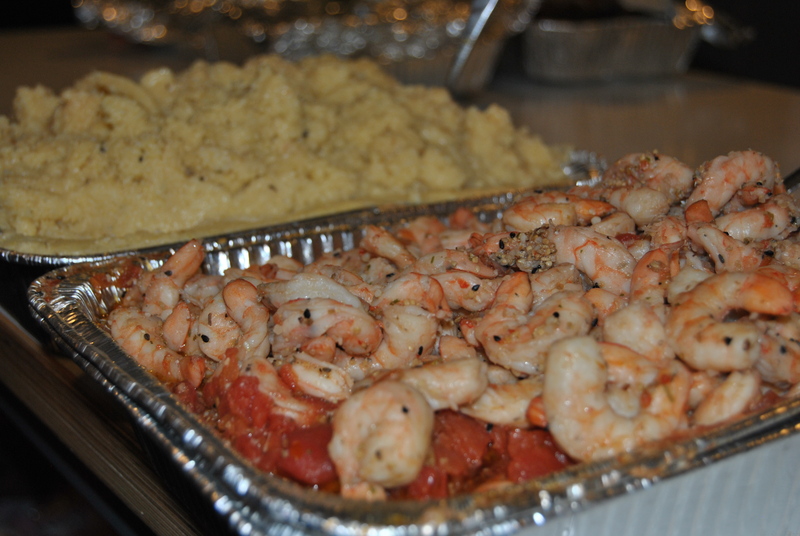 Catering by Kevin served up a variety of southern-inspired dishes in honor of the Alabama company including shrimp and grits, bbq salmon sliders, pasta salad, fresh fruit and crudite, along with specialty cocktails in the brand’s signature blue color. 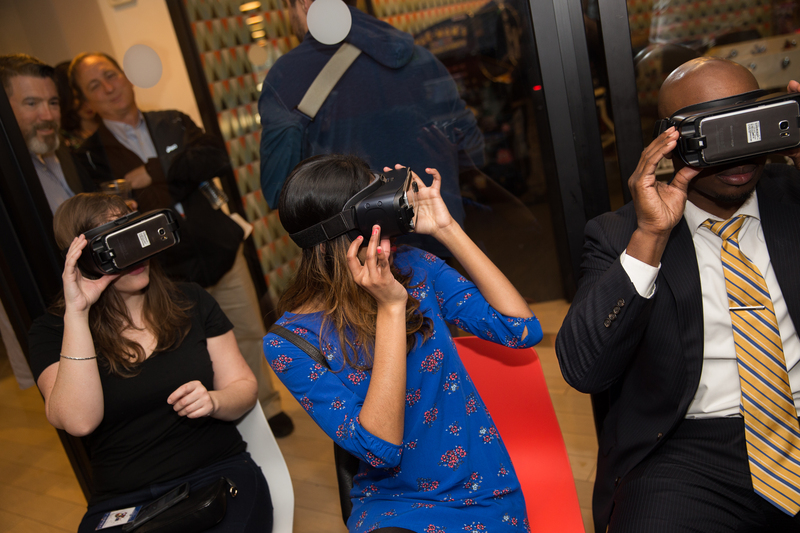 The event ended nearly an hour later than planned as guests continued to interact with the software. 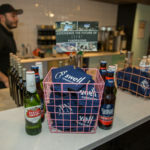 Silver Foxes…. 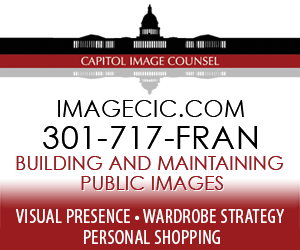 | Hollywood On The Potomac on Frosty and Max do DC!